Kelowna, Westbank, Vernon and Penticton! Check out our list of FAQs. Okanagan Clinical Counselling Services is a comprehensive clinic that offers a wide range of services to help you deal with any challenging life circumstances, or mental health concerns that you may be experiencing. Our team at OCCS includes Clinical Counsellors and Registered Social Workers who strive to create a comfortable, open, and encouraging space for our clients, and provide the best care possible. 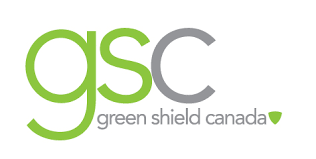 OCCS is proud to offer a sliding fee scale, evening and weekend appointments, free consultations, online counselling services, and 4 locations throughout the Okanagan to best accommodate our clients. Caring. Compassion. Community. This is all part of the story that makes OCCS a special place to be. At Okanagan Clinical Counselling Services, we provide individual, couples, children, family, and group counselling services. We offer a FREE 20 minute consultation to fully understand your concerns, and match you with one of our clinicians that is best suited to fit your needs. Our team of counsellors specialize in a variety of areas such as treatment for depression, anxiety, eating disorders, substance abuse, difficult life transitions, trauma, grief, divorce, sexuality, and many more. We use a variety of clinical therapy approaches to ensure that you are provided with counselling services and therapeutic strategies that are most appropriate for your specific situation. Okanagan Clinical Counselling Services also offers several workshops, specialty counselling services, and subsidized counselling programs to best help our clients. OCCS has an Intensive Outpatient Treatment Program and a Substance Abuse Assessment Program for individuals who may require substance abuse counselling. We offer several specialty counselling services such as EMDR Trauma Therapy, Child Behavioural Therapies and Assessments, Views of the Child Reports, counselling for students, and more. 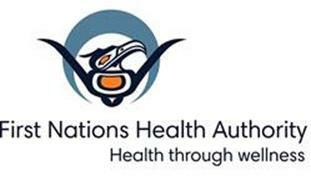 We also have several fully subsidized counselling opportunities such as through our Crime Victim Assistance Program, ICBC, WorkSafe BC, and First Nations Health Authority. OCCS offers a variety of workshops throughout the year that address issues such as worthiness, mindfulness, compassion fatigue, relationships, gender identity, and employment. OCCS is excited to offer online counselling services in order to provide support for clients at their convenience without scheduling or commuting constraints. OCCS provides counselling services all throughout the Okanagan with locations in Kelowna, Westbank, Vernon and Penticton. Through our dynamic team, extensive experience in a breadth of areas, our many programs and specialty services, workshops, and online counselling, OCCS is equipped to help you no matter what your concern may be. At OCCS we create authentic connections and believe in creating a completely individualized therapy experience for each of our clients. Contact us today to find out how our counselling services can be of benefit to you. Stop by and ask us the tough questions. We’d be thrilled to meet you. Check out one of our convenient locations in the Okanagan Valley. Click here for directions and Google map. OCCS provides services to multiple Employee Assistance Program (EAP) providers, community agencies and BC ministries. If you are connected to these partners or additional EAP providers, please inquire about how your counselling can be subsidized.